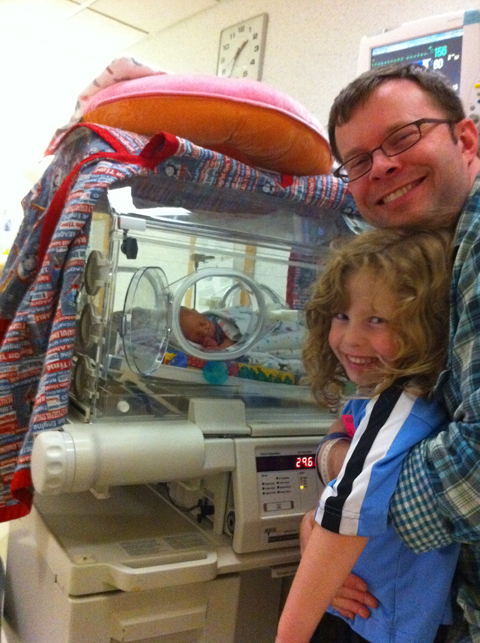 The NICU was an extremely traumatic place for me and my husband. 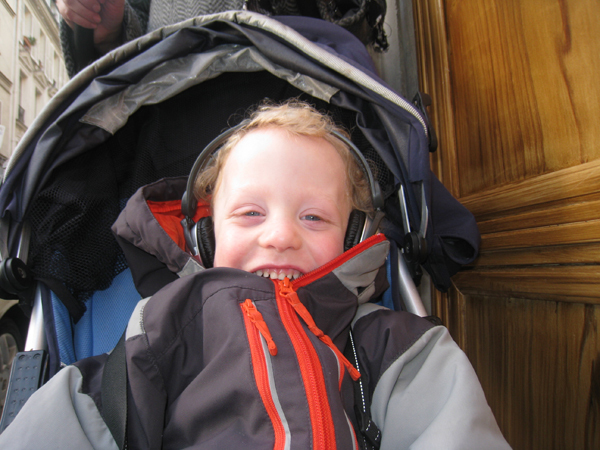 I spent anywhere from 4-8 hours a day sitting next to Sam’s isolette listening to a symphony of sounds made up of alarms, beeps, the whooshing and whirring of breathing devices, doctor and nurse chatter, and my own breathing. 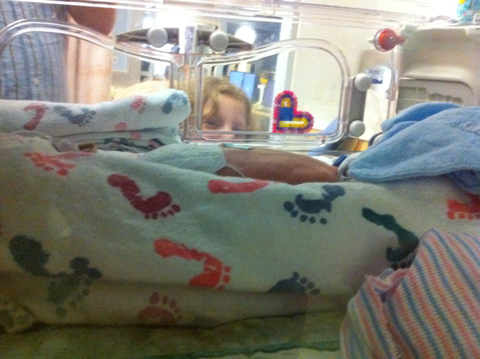 Every day when I walked through the doors of the NICU I had to brace myself for what may lay ahead. Looking back, I now think what I went through was nothing compared to what this experience must have been like for my then-five-year-old daughter. I’m not downplaying my experience. As anyone who has been following this blog knows, I have been pretty open about my struggles with PTSD. 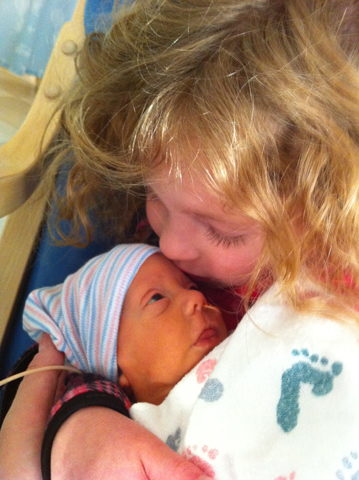 What I am saying is having a baby in the NICU can be especially hard on an older sibling – especially one that is too young to really understand what was going on, but old enough to know something scary was taking place. We fell into this category. Irene was not even five when I had her brother. She was in her second week of kindergarten when I suddenly disappeared. 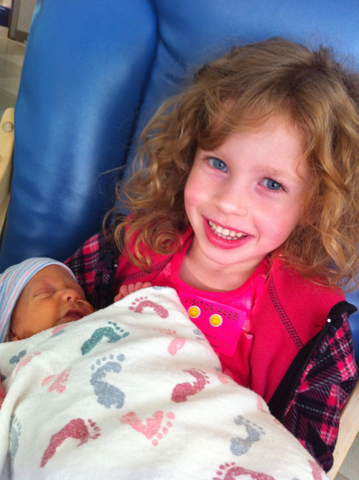 The days I was in the hospital before her brother were born were confusing times for Irene. For the first two days, we didn’t know what to tell her. In fact, I don’t think we told her anything. She had a sleepover with her grandpa, then a playdate with a good friend, followed by another sleepover. When my husband finally told her I was in the hospital, Irene took it really well. Or at least that is how she acted. Our little girl was very good at covering her own feelings and fears; putting on a brave face for everyone around her. Her smile was wonderful and brightened my day. She came back to visit me after school the next four days, until I finally had Sam. I think Irene actually enjoyed those brief visits. She got to tell me a little about her day and then steal the jello off my food tray that I had been saving for her. Of course, each night when she and Peter went home, Irene had a hard time sleeping and often woke up after having a bad dream. She also started having some discipline problems in school. Had we not been in such a state, Peter and I might have noticed the early warning signs that Irene’s smile was hiding her real feelings. When Sam was finally born, Irene embraced the news with nothing but joy and enthusiasm. Peter and I tried as best as we could to explain to Irene that while she had a brother, he was very sick and very small. 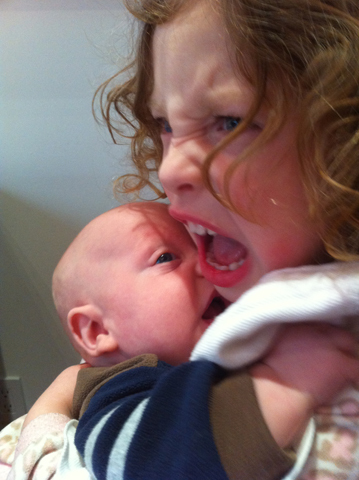 Irene didn’t really care – she just loved that she had a brother. 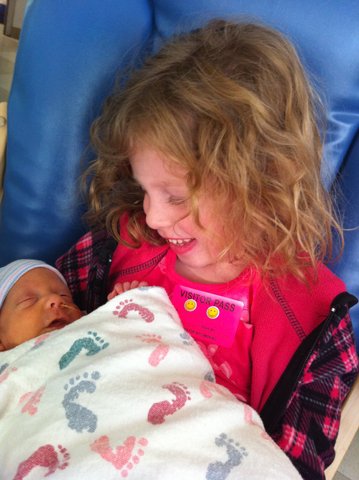 As long as I was in the hospital, Irene came every day, eager to see her brother and hang out. 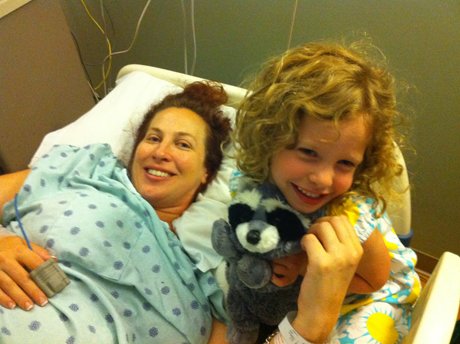 As soon as I was released, her interest in the hospital started to wane. Did I notice that change… no. 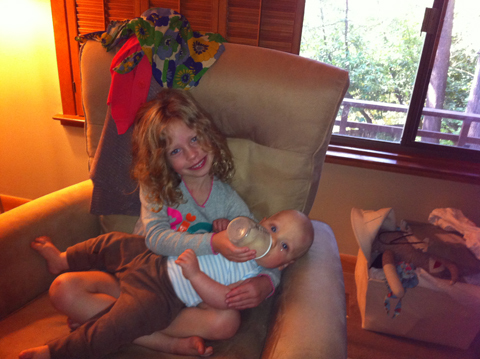 In fact, I decided it was important for Irene to continue to visit her brother every weekend. Some days, those visits were good. And some days, the visits ended with Irene in tears and acting out. Finally, one day, I asked Irene what was bothering her and my sweet little girl told me she hated going to the hospital and never ever wanted to go back. When I asked why, she told me that it scared her to be there. And like that, my daughter stated what should have been so obvious to me, but I was just unable to see. 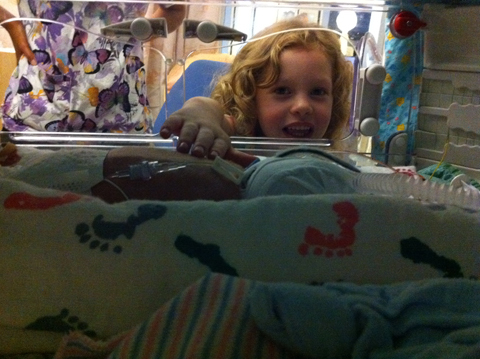 The NICU was more than she could take. Realizing we were doing more harm than good by bringing Irene to the hospital, Peter and I told Irene she didn’t have to go back unless she wanted to. We also let her know that even if she asked to see Sam, she could change her mind at any time… in the elevator, in the car, in his room. All she had to do was say, “I’m ready” and Peter would whisk her out of there. These new rules helped Irene a lot. She went almost a month without going back to the hospital, and then one day, she asked if she could come with me. Peter and I reminded her she could change her mind at any time, she told us she understood, and so off we went. When we finally brought Sam home, Irene was overjoyed. This time, I do not think her joy was covering anything. She loved her brother. She loved having him home. More importantly, she loved having her mommy home all the time as well. In Irene’s world, the crisis was over and life would go back to normal. Unfortunatley for Irene, normal meant Irene was no longer the center our universe. She had been the only child for five years, and had come to expect a level of attention that was just not possible anymore. Luckily, Irene held up well… for a while. She loved her kindergarten teacher. She had a core group of really great friends. She had special mommy dates once a week. She had my parents around the corner, ready to take her out and spoil her. When first grade started, Irene’s facade of happiness and joy finally started to crack. Was it just the age or was it the shift to a new class and a new teacher? Or, was the trauma of the previous year finally showing itself? My guess is it was a combination of the three things. Whatever it was, this past year has been a rough one on Irene. She has had lots of discipline issues and emotional outbursts. We took her to talk to someone, and that helped her a bit. The psychologist gave Irene a few tools to help her more honestly express her feelings, something I wish she had been able to do the previous year. I remember one day Irene and I were talking about Sam and I asked her if she loved her brother. She smiled and said, “Oh mommy. I don’t have a brother… I have a bother!” She of course said this with a huge smile, but I know there was some truth in it. Either way, there is no question Irene loves her brother. She loves to help feed him and pick out his outfits. She is especially proud when he comes with me to pick her up at school. 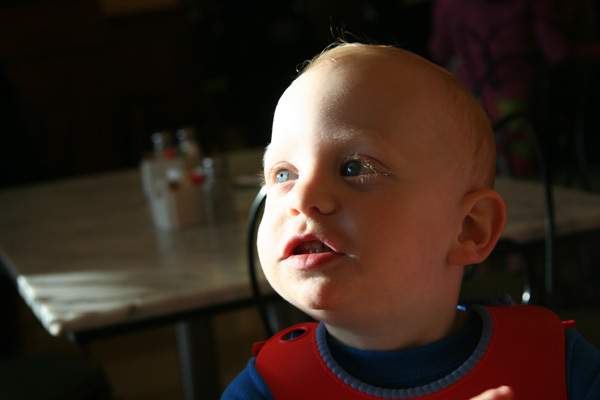 I think it helps that Sam’s face lights up and he usually squeals with joy when he sees his big sister. She eats that up with a spoon. I do worry that Irene has her own little case of PTSD. I know that she still has some things to work out, and I am here for her. I just think that she is a remarkable young lady. What a beautiful walk through your baby girl’s journey. No doubt she’s been through a lot, but like you, I can see she’s tough with a tender heart. I hope you continue to make progress and get to the root of the things bothering her (besides her little bother, that is). It’s true Amy… she is a lot like me. Sometimes a little too like me. There are days when she acts so mature I forget she is just six. Then there are other days when her age is painfully obvious. Either way, she is an amazing kid and I am humbled daily that I am, in fact, her mother. Thank you for sharing, Melissa! 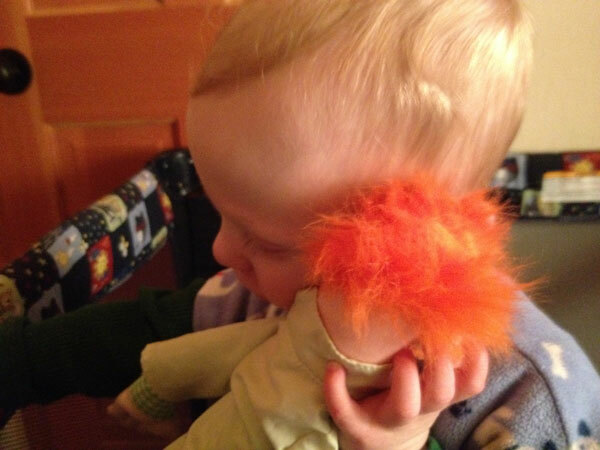 Interestingly, Kellen is also struggling with behavior at the one year mark. I know that’s the point it all started to hit mom and dad, so maybe it’s rubbing off or maybe it’s just the time this stuff starts to rear it’s ugly head. His preschool has counselors and we are in the process of getting him into in-class counseling – essentially the counselor visits him in the class room where he’s already comfortable. I admit it, I teared up a little reading this. So hard on these older kids, but their bravery is as amazing as their micro preemie brothers’ fight to live. How amazing that the preschool has counselors on site! I think Irene would have benefited from that her self. 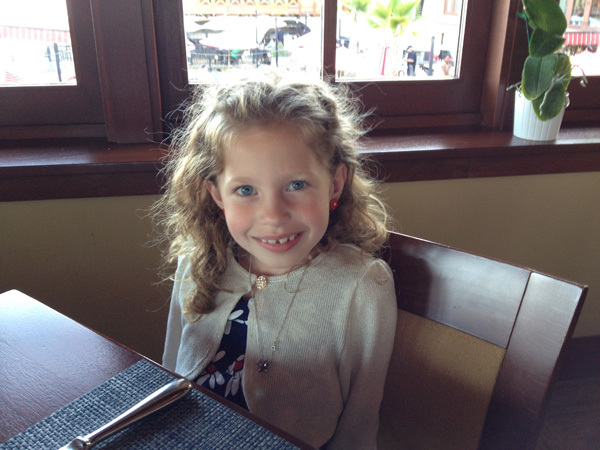 We are still struggling with her emotional outbursts today – over two years later. Even with that, she is still a hero to me!